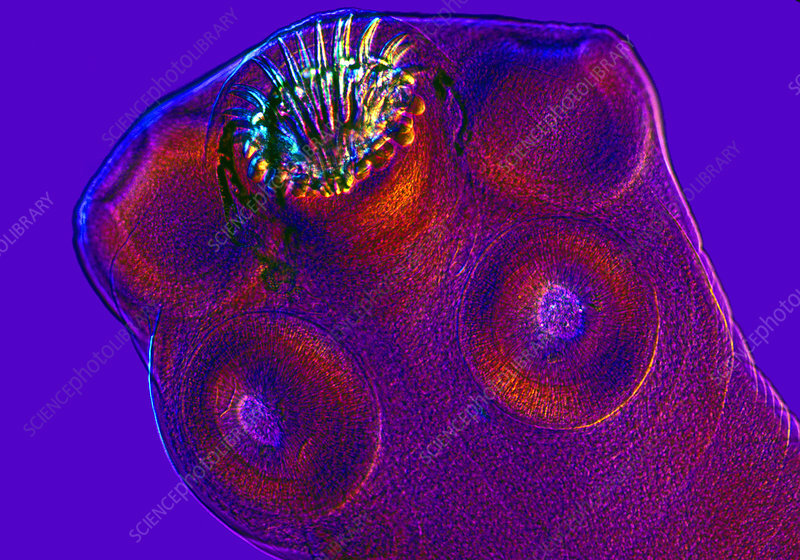 This is the scolex (head end) of the pork tapeworm Taenia solium. The rostellum is identified by a double row of hooklets and there are four suckers plainly visible. Photographed at 100x in differential interference contrast.